Update: We received word from Xiaomi that the source website is not official and neither is the announcement for expansion on the Polish market. Sorry for getting your hopes up guys - we guess the waiting will continue. 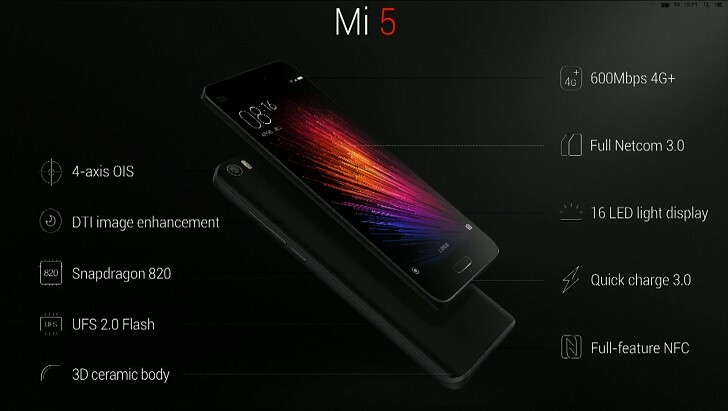 The Xiaomi Mi 5 has been getting a lot of attention ever since its launch at MWC 2016 and quite justifiably so. The device is a true flagship offer with a slew of advanced features and little to no notable compromises all with a starting prices as low as $300. Sadly, availability has outside eastern markets has always been a major problem for the Chinese OEM. However, this might change soon enough, as VP Hugo Barra seems to be making good on his long-standing promise to expand market reach of the brand to Europe. The first step in this expansion was hinted during the unveiling of the Mi 5 and Mi 4s and now news has surfaced on the Polish version of the Xiaomi website, providing proof that the company is working on international availability. The web page informs that the Xiaomi Mi 5 and Mi 4s will be coming to the Polish market soon. The memo also comes with a promise for additional info on timing and pricing shortly, as well as a list of the exact models that will be on offer. It appears all three variants of the flagship Mi 5 will be outed in Poland. All three have a 5.15-inch FullHD display and a Snapdragon 820 SoC, but the entry-level one with a clock speed of 1.8 GHz, 32GB of storage and 3GB of RAM. The 64GB has the same amount of memory and a processor speed of 2.15GHz. The Pro simply adds another gig of RAM and a 3D ceramic back cover. All the other impressive features of the Mi 5 are shared across the range, including the innovative 16MP camera with 4-axis OIS, 600 Mbps 4G+ connectivity, Full-featured NFC and many other goodies. We will keep a close eye on the Polish website for any further details on pricing and availability. It is, however, clear that entering into new markets will bring the retail price of any handset up. Hopefully, it won't be too much of a premium. Thanks for the tip Mateusz. Not yet, only Redmi 3 and Redmi Note 3 and Xiaomi 4i, still waiting for 5 (product page is there for each variant, but no price and not in stock). http://www.citrus.ua/shop/goods/mobile/1494/ Lots of Xiaomi phones in Ukraine. Prices seem adequate. But its not an official reseller, and never claimed to be. Does Mi5 have 4G+ which is 2 bands connected simultaneously?